Since its debut at the 2018 North American International Auto Show, the 2019 Ram 1500 has been making headlines. From being awarded Wards 10 Best Interiors or the Popular Mechanics Automotive Excellence Awards 2018, the 2019 Ram 1500 is not your average work truck. The all-new Ram 1500 is equipped with best-in-class features, so it’s easy to see why the 2019 Ram 1500 is a step above the rest. The 2019 Ram 1500 is available with only two engine options – 3.6-liter V6 eTorque Engine and the powerful 5.7-liter V8 HEMI engine. The standard 3.6-liter V8 engine can generate 305 horsepower and 269 lb-ft of torque, and once the pickup truck is equipped with the eTorque system, the Ram generates an additional 90 lb-ft of torque. The standard engine on the Laramie, Laramie Longhorn, and Limited trim levels, and optional on the remaining trims, is the 5.7-liter V8 HEMI engine with Multi-displacement System (MDS). The MDS shuts off four-of-the-eight cylinders when driving at a steady speed to conserve fuel. The 5.7-liter engine can produce 395 horsepower and 410 lb-ft of torque, with consumers given the option of opting for the same engine but with a multi-displacement system (MDS) with eTorque, for an additional 120 lb-ft of torque. For the 2019 model year, the Ram 1500s engine options are designed with Variable Valve Timing (VVT) technology to enhance the engines performance, fuel-efficiency, and emissions through optimizing the combustion cycle. Furthermore, a TorqueFlite eight-speed automatic transmission has been matched for all available engines. The 2019 Ram 1500 is generally lighter by 225 pounds and 100 of those pounds are due to the brand new frame. 98 percent of the Ram 1500’s new body is made of high-strength steel that consists of several components made from aluminum to decrease that extra weight. Additionally, a new air suspension system was installed, along with Frequency Response Damping (FRD) shocks. The 2019 Ram 1500 has the ability to tow up to 12,750 pounds thanks to Ram’s five-link coil suspension. Many consumers may not know that Ram has had its own off-road package for several years, but for the 2019 model year, a new package for the next-generation model is by far the best. A one-inch suspension lift, with or without the available four-corner air suspension, an electronic-locking rear differential, and 32-inch on/off-road tires on (standard) 18- or (available) 20-inch wheel to provide additional grip are all included in the package. Fortunately for consumers, the package is also available for almost every trim. Additionally, transfer cases are included and have been enhanced with BorgWarner 48-12 for part-time four-wheel drive (4WD) operation with high and low ranges, plus the BorgWarner 48-11 for on-demand 4WD. Returning for the 2019 model year is the Ram 1500 Rebel. For those consumers looking for a real deal off-roading pickup, the Rebel is even more capable than ever. The Ram 1500 Rebel is equipped with all-new 18-inch wheels with 33-inch Goodyear Wrangler DuraTrac tires driven by an electronic-locking rear differential, coil spring suspension, a one-inch factory lift, designed Bilstein shocks, and a powerful skid plate. The skid plate serves as protection for the transfer case, steering, engine, and the gas tank. For additional off-road capability, hill-descent control is included. Lastly, active-level four-corner air suspension is an available option for the Rebel but is standard on most other trims. The next generation 2019 Ram 1500 takes a serious jump into modernization, specifically with its interior cabin. The Ram 1500s interior cabin consists of a push-button start, an electronic parking brake, a redesigned rotary e-shifter dial – all of which are shared as standard features across the lineup. Technology features have also been upgraded with five USB ports (three in the front and two in the back) to keep various kinds of devices charged via USB A and USB C. Low-end trim levels come standard with cloth or vinyl, while the high-end trims come standard with an upscale leather bound upholstery. In terms of storage options, the 2019 Ram 1500 spared no expense. A wider docking area is featured for optional wireless charging of a smaller tablet or smartphone, a deep storage tub that can store a 15-inch laptop, and an additional lined compartment under the center armrest. Furthermore, the rear passengers can enjoy another tablet holder behind the two cup holders for added convenience. If consumers are interested in additional security, the high-end trims come with a glove box that can slide upward to reveal a hidden cubby in the dashboard. Two RamBins can be found in-floor and after folding up the rear bench seat, consumers will find an under-seat compartment – both are available on the higher-end trims. The exterior styling of the 2019 Ram 1500 has gone through a series of enhancements that includes a lighter, longer, and wider body with improved aerodynamics and sharp body lines. The high-end trims come standard with a forward-leaning front grille opening and slanted LED highlights with an available adaptive front-lighting system. The low-tier trims are standard with halogen headlamps. There are several available tail lamp variations, as well as six new grille designs that are available throughout the 2019 Ram 1500 lineup. A segment-exclusive full-width chrome stamped-steel rear bumper makes up the rear of the Ram 1500. The 2019 Ram 1500 includes a number of wheel sizes ranging from 18- to 22-inches, and an all-new 33.3-inch x 43.4-inch panoramic sunroof as an available option. The popular RamBox Cargo Management System has returned and it’s better than ever. The RamBox features a 115-volt outlet, and for improved illumination, the overhead lighting has been relocated. Finally, the RamBox is now raised by 1.5-inches and is still weatherproof, lockable, and designed with drainable storage bins built into the bed rails. Technology has definitely been modernized for the 2019 Ram 1500. There are four different available sound systems that range from the standard six-speaker system to the nine-speaker Alpine sound system and Harman Kardon audio system with 19-speakers and a 10-inch subwoofer. Standard infotainment features include a 5-inch touchscreen with Uconnect 3. A 12-inch touchscreen is an available option that not only includes the next generation Uconnect 4C with navigation but also the SiriusXM 360L platform with smart content recommendations, limitless on-demand streaming audio, and tons more variety. The 2019 Ram 1500 is actually the first vehicle to offer the SiriusXM next-generation 360L platform experience. Moreover, a 4G Wi-Fi hotspot is also an available option. For the first time, the Ram 1500 includes a 360-degree Surround View Camera system that provides a birds-eye view of the vehicle via the four cameras positioned around the chassis. The 2019 Ram 1500 is equipped with plenty of standard safety features like advanced multistage front airbags, supplemental front-mounted and side-curtain airbags. Traction and stability control system, a ParkView backup camera, and a Sentry Key theft deterrent system. Advanced safety features that include adaptive cruise control, blind-spot monitoring, advanced brake assist, forward collision warning, LaneSense Lane Departure Warning-Plus, ParkSense Parallel/Perpendicular Park Assist, ParkSense park assist with reverse stop, Rear Cross Path detection, and 911 Call Assist are all available safety options included in select trim levels. 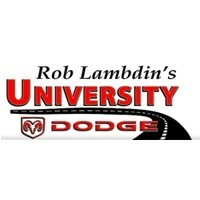 Find Your 2019 Ram 1500 at University Dodge Today!